Both of us can’t imagine travelling without our smartphones. Besides being our first line of communication to just about everyone, we’re frequent Tweeters and tend to update our Facebook statuses on-the-go. That being said, besides that obvious must-have apps like Twitter, Facebook and Instagram, we had to do a round-up of some of the best travel apps out there (ie. ones you need to download to your iPhone stat). Whether it’s finding restaurants around the block from your hotel or tracking your flight, these travel apps will make your trip that much better. 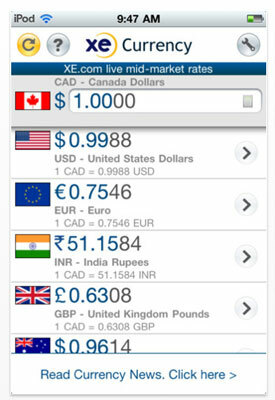 This app became quite handy for us in Buenos Aires when we couldn’t figure out how much a pair of shoes converted to in Canadian dollars (it was waaay cheaper than we thought). If staying on your shopping budget isn’t reason enough to download this app, consider that its rates are live and if you aren’t connected to WiFi, the app stores the latest updated rates, so you can always convert at your convenience. Frequent travellers should consider downloading this organizational app, which allows you to combine and share your travel plans. 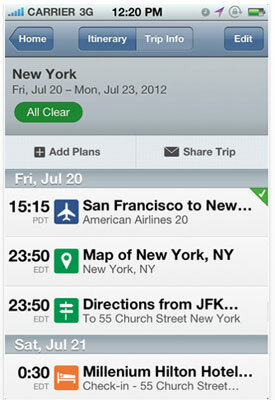 It automatically syncs all of your trips into one itinerary, and you can view it on your iPad, calendar or even online at Tripit.com. Our favourite feature? When you get a confirmation email, all you do is forward it to Tripit, they recognize the reservation and plan accordingly. 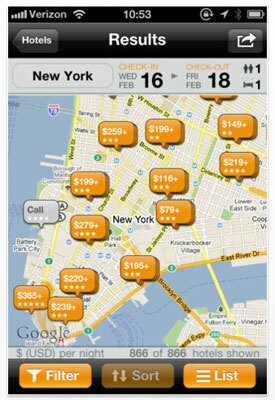 It’s like have your own travel concierge. 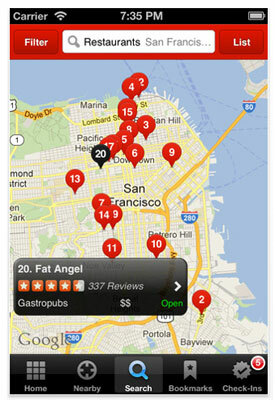 During our San Francisco trip we happened to use Yelp quite frequently. It helped us discover one of our favourite dining destinations including, Farm:Table, as well as Little Griddle (they served the biggest omelettes ever). We were impressed with the accuracy of the reviews and were almost never disappointed. We highly suggest using this app when travelling to a city you’ve never been — you may end up discovering some of your own favourites. Plus if you join you can share your own reviews too. What’s the first thing you do before you start packing? If you’re like us, we hit up the Weather Network to find out whether we should be packing a trench coat and umbrella or should be loading up on sunscreen. One of our favourite features with this app is “Follow Me,” which automatically forecasts the weather in your new destination, so you don’t have to reset any of your preferences. We initially used SeatGuru to find out where we should sit during a transatlantic flight, but this app actually does much more than help out with airplane seating. You can compare fares, find out about in-flight amenities and set-up real time flight alerts. 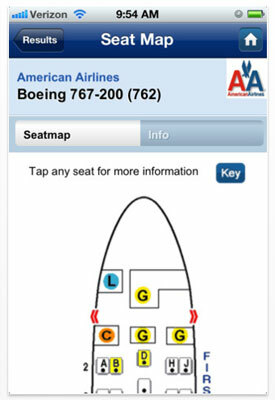 There are over 700 seat maps from more than 100 airlines and there are even passengers reviews too. Now there is no excuse to be stuck with the worst seat on the plane! 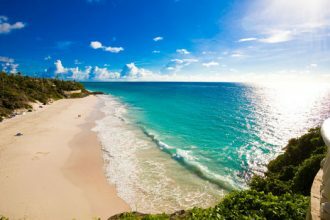 Need a last minute hotel? Or maybe you’ve decided to take a day trip out of the city and need to rent a car? If so, Kayak will be your mobile savior. Not only can you compare flight, hotel and car deals, you can also book your hotel right on the app (no need to transfer to the hotel’s mobile site). Another feature we appreciate? The ability to check your airline numbers and airport info. For a small cost you can upgrade to PRO to access airport terminal maps. 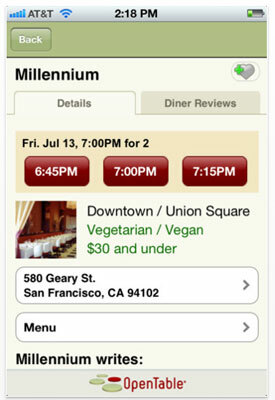 After you’ve used Yelp to pick our your restaurant, you can then tap on OpenTable to make your reservation. Perfect if you’re planning on business meals during your trip, it’s also great if you want to secure a table at a popular dining destination. Currently there are 20,000 restaurants in their system across the U.S. and Canada. Plus as a member you can collect Dining Rewards Points that are redeemable at any OpenTable restaurant. Why bother paying ridiculous telephone fees from the hotel when you can do everything for pennies on Skype? 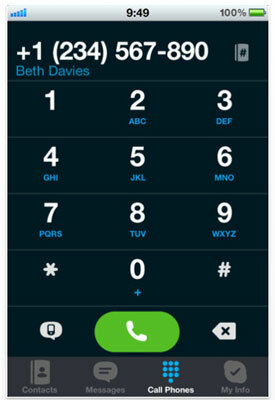 Skype to Skype calling or video calling is free, while calling or texting with Skype can be done for a small monthly rate (and includes international numbers). Skype does require the Internet, so you’ll either have to use your 3G network or consider connecting into a local free WiFi connection for a seriously affordable call. Travelling is not just about where to eat and where to sleep (although both are super important), it’s also about sharing your adventures with your friends and family. 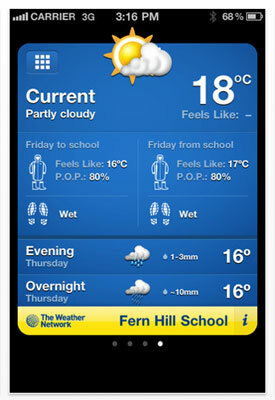 We’ve shared our love for this app before, but we couldn’t resist including it in our roundup. For $0.99-$1.99 you can send a postcard to anywhere in the world with a picture from your phone — be it your library, Instagram or Facebook. Within the U.S., Canada and Europe, delivery only takes 2-5 business days, you can include an optional 140 character message and it’s a thick, glossy postcard with a picture of 300dpi (for those that don’t speak camera that’s a good resolution). It’s cute and fun, and we suspect any mom would be very excited to receive one. 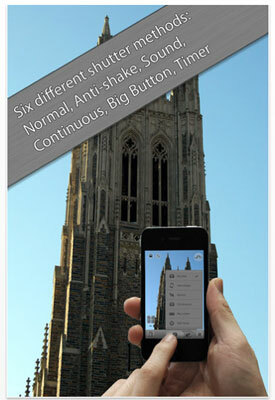 We couldn’t complete this list without including at least one camera app. Unlike other camera apps out there, this one is a no frills version that essentially improves what the iPhone camera can already do. One of its core features is the 6 modes, including Sound Shutter that allows you to take a picture by whistling or clapping, and Anti-Shake that helps to steady your camera. 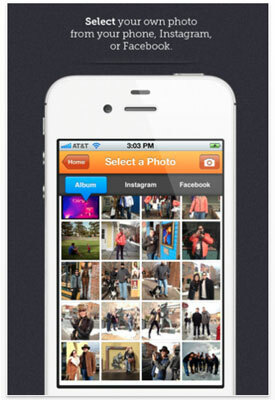 There’s also a built-in album viewer so you can check out your pics and even send them, without exiting the app.